At diocesan synod on Saturday we were told that it would take a further 80 years at least for women to be paid the same as men and have the same opportunities as men if it were to happen naturally over time - namely if society did not ensure that the very best women are encouraged into the best positions and salaries. 80 more years where women are paid less. 80 more years where women do not rise to the same positions of responsibility. 80 more years where we are still implicitly and explicitly building a gender bias into our work places. I bet Emmeline Pankhurst is still spinning in her grave. It would appear that whilst we may believe that our society has striven for equality and that battle is won, some are more equal than others, whether the extravagantly wealthy on one hand or every working woman on the other. And I would like to hope that all of us know that this latter example is just not right. St John places what we hear as this morning’s Gospel reading just before Jesus’ triumphal entry into Jerusalem and Jesus’ turning towards His crucifixion. Lazarus has been shockingly raised from the dead, and as if to prove it, Mary and Martha throw a banquet for Jesus with Lazarus as a guest. That which once was dead is alive again. Yesterday marked the 22nd anniversary since the ordination of the first women priests in the church of England. What some considered would be the death of the church, has actually proved it’s life - to see a mutual flourishing of the ministries of women as well as men, thank God, in all orders of ministry. This shouldn't surprise us as Jesus again and again affirms the place of women in his ministry. The Mary who anoints Him here is the same Mary who sat at His feet only a few verses earlier. The story of Mary reminds us of the woman that Jesus put in her place in St Luke’s Gospel, when the woman in the crowd exclaimed “Blessed is the womb that bore you and the breasts that nursed you!” Jesus was bold in his response: “Blessed rather are those who hear the word of God and obey it!” For Jesus, women are more than sexual objects and children-rearing machines. That’s why Jesus does not have a problem with being touched by women, seeing them with their hair down, with women talking to men or being active with their bodies and alive in their senses. In short, in the Reign of God women are equal at the intellectual level, at the salary level, and at all levels. Women are disciples. I heard this week of Black Ballet - a professional company of ballet dancers for ethnic minorities formed in the early 2000s as back then there were none in the UK. The company’s mission statement involves ‘making Black Ballet unnecessary.’ Astonishing isn't it? But it’s more fundamental than that. 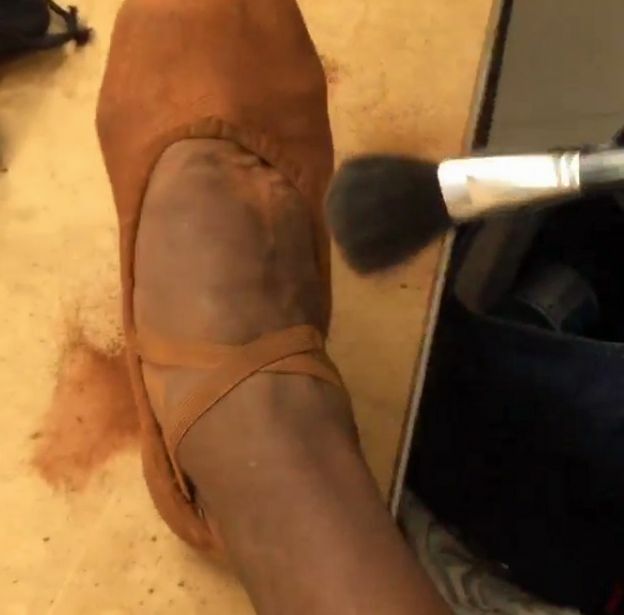 Ballet dancers need to wear flesh-coloured shoes - but for non-white dancers at the moment, that is just not an option and for Eric Underwood of the Royal Ballet and other dancers, they have to apply makeup to their shoes before dancing. Surprising isn't it? There are still social taboos to be crossed. Our Gospel reading is full of surprise and social taboos being crossed. It would have been surprising (actually shocking!) to see perfume costing a years wages to be used like this. It would have been surprising for a guest to dampen the mood a a feast by talking about their death. What’s more surprising is that Mary anointed Jesus at all as it is usually men who anoint men. Samuel anointing Saul to be Israel’s first king. Male Popes anointing male emperors throughout western history, and so on. But here, Mary lets down her hair – with all the cultural connotations of that expression – and anoints Jesus. People expected the Messiah to look like King David - instead they get a carpenter from Nazareth; in a few verses time they expect Him to overthrow the Romans and yet He is crucified by them. Sarah wasn’t expected to have children, let alone found a dynasty. Moses wasn’t expected to lead the Israelites to freedom. Miriam wasn’t expected to be the prophetess of Israel teaching her people to sing of God’s victory over the Egyptians. The ruddy-faced shepherd boy David wasn’t supposed to be king. And on and on and on. God regularly loves to do the unexpected with, for, and through unexpected people. And the culmination of Lent and celebration of Easter are the highlight of the work and activity of this unexpected God, as death is assumed to have the last word, until Jesus is raised from the dead. So instead of asking - what is Jesus asking of us this morning as I would as we reflect on what scripture might mean for us in our lives - instead perhaps we need to ask - what do we expect of God, especially this Passion Sunday as we being to turn our faces with Jesus towards the cross? Are we expecting God to come in power, to answer our prayers as we would like, to favour our political point of view or our sports team? 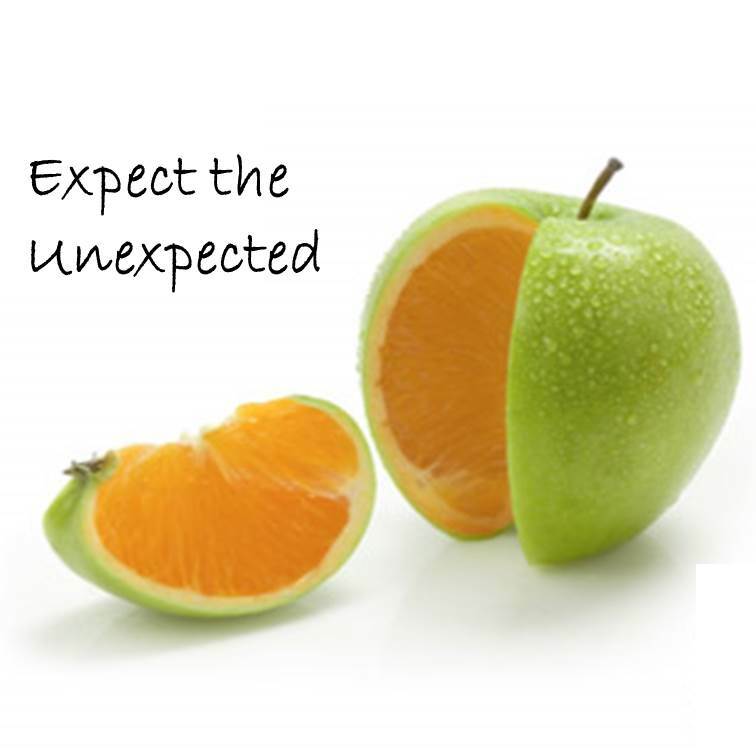 Are we prepared to be surprised as God again does the unexpected amongst us? Where God might be at work in unexpected ways in our community? Whom God might work through next? Look at those sitting near you. For God may be about to use each of you in a surprising way to care for your neighbour, to offer a listening ear, to do your work with faithfulness and courage, to stand up for those who are less fortunate and offer an alternative to those watching. To serve Him an authorised ministry of the Church as a Reader, Deacon or priest. Either way, He’s certainly calling you to be a disciple.